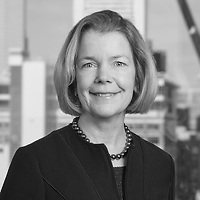 Mary T. Marshall, a partner in Nutter’s Real Estate and Finance Department and a member of the firm’s Land Use, Permitting and Development practice group, was selected as a “2016 Top Women of Law” honoree by Massachusetts Lawyers Weekly. Each year, Massachusetts Lawyers Weekly honors women attorneys who have made tremendous professional strides and demonstrated great accomplishments in the legal field, including in pro bono, social justice, advocacy, and business. The awards highlight women who are pioneers, educators, trailblazers, and role models. Mary and the other honorees will be recognized at the “Top Women of Law” event, which will celebrate their outstanding achievements in an awards ceremony on October 27.